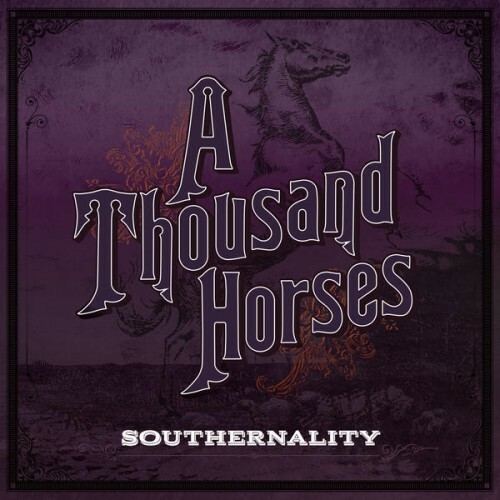 Six months after its US release, the debut from Southern/Country Rock outfit A Thousand Horses is available here in the UK Their first single 'Smoke' hit the top spot on the Billboard Country Chart before the album's release, a first for a debut single, thus warranting well-deserved attention. Though essentially a four-piece consisting of Michael Hobby (vocals/acoustic guitar), guitarists Bill Satcher and Zach Brown and bassist Graham Deloach, as a touring entity they expand to nine members with the addition of keyboards, fiddle and three female backing vocalists; these embellishments expanding the sound of 'Southernality' quite superbly. For a thirteen track album, only four of the numbers truly Rock out; opener 'First Time' is a riff-strewn Rock 'n' Roller that more than tips a hat to The Rolling Stones and Black Crowes, 'Travelin' Man' is a lively and gritty Southern Rocker that could easily be Blackberry Smoke while the title-track and 'Trailer Trashed' are more "radio-friendly", grooving Southern/Pop stompers – the latter what Def Leppard could sound like if they went Country, and benefitting from hefty Planet Rock airplay. However, the remainder of the album is no less appealing, as it's made up of a profusion of rootsy, irresistible, mid-tempo pieces full of sumptuous melodies, elegant arrangements and sublime guitar work that all teeter on the edge of balladry without completely stepping over the precipice. The aforementioned 'Smoke' and their second single '(This Ain't No) Drunk Dial', 'Heaven Is Close', the more contemporary-sounding 'Hell On My Heart' and 'Where I'm Goin'' are all similar in tempo but structured differently enough as to remain individual. 'Sunday Morning' dips its toes into Bluesy/Gospel waters (you can hear that it's co-written with TBC' Rich Robinson), 'Tennessee Whiskey' is gritty Country in a Keith Urban spirit and the soulful 'Landslide' manages to deliver a Southern-style epic in just three and a half minutes. Only the gentler, acoustic-picked 'Back To Me' (with its keyboard and pedal steel accompaniment) slips into softer territory. 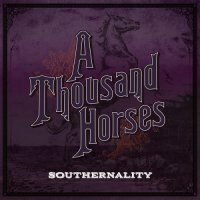 There does seem to be an air of polished manufacturedness about A Thousand Horses, something commonplace amongst the Country fraternity, but these guys are actually the authentic real deal, having done it the hard way with endless touring and writing these songs along the way over a five-year period. They deserve every success they will surely achieve.